Easter in our house is all about the treats. Chocolate eggs, marshmallows, and everything bunny! 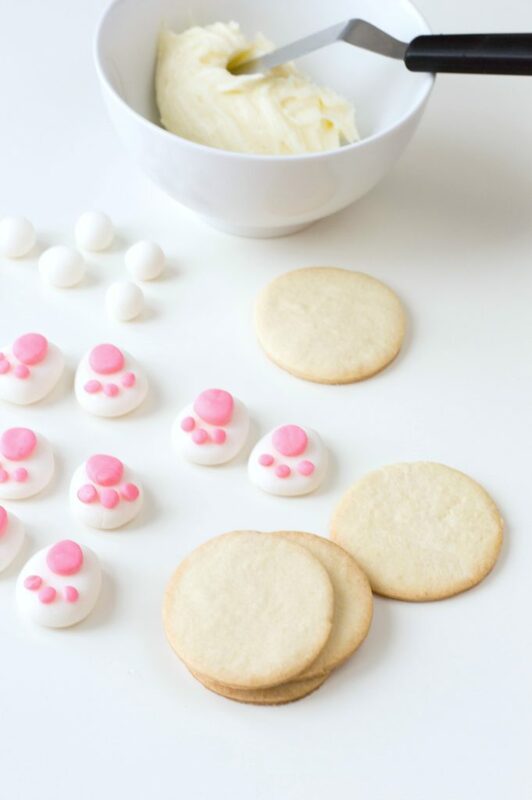 We decided to make these super cute bunny bum cookies! Sweet sugar cookies, frosting, and fondant. It really doesn’t get more Easter treat-ish than that! After all, it is the Easter Bunny’s time to shine. This Easter, bake up these cute little bunny bums and I can guarantee your kids will think they are adorable. The best part? They are super simple to make! Read on for the step-by-step recipe and give your bunnies a really wicked cute treat this Easter. Start by making your cookies. 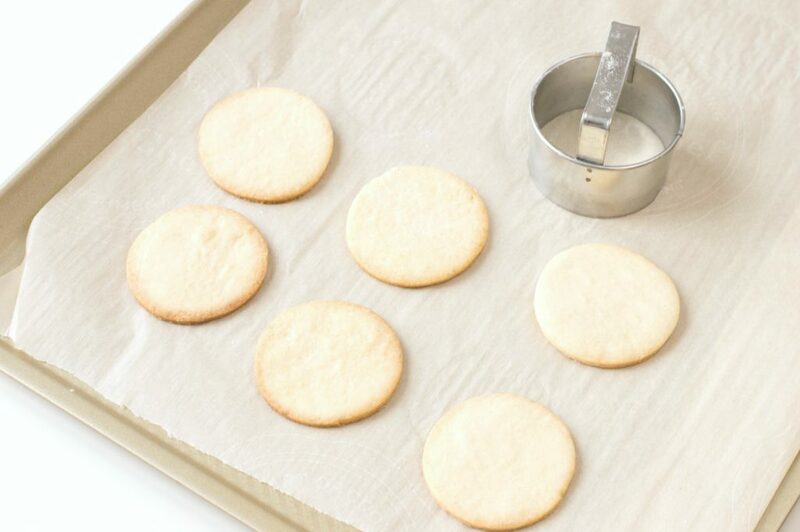 Line a baking sheet with parchment paper and set aside. Using an electric mixer, beat together butter, sugar and egg until creamy. Add dry ingredients and mix until a dough forms. Wrap the cookie dough in plastic wrap and refrigerate for 30 minutes. Once the cookie dough has chilled, preheat oven to 350 degrees F.
Remove the dough from the fridge and place on a floured surface. Cover a rolling pin with flour and roll the cookie dough so that it’s about ¼ of an inch thick. Using a cookie cutter about 2 inches in diameter, cut out 12 circles and place on your lined baking sheet, about an inch or two apart. Bake for 10 to 12 minutes or until the edges are a light brown. Allow to cool completely before decorating. If you have any remaining cookie dough, keep it in the freezer wrapped for later use. 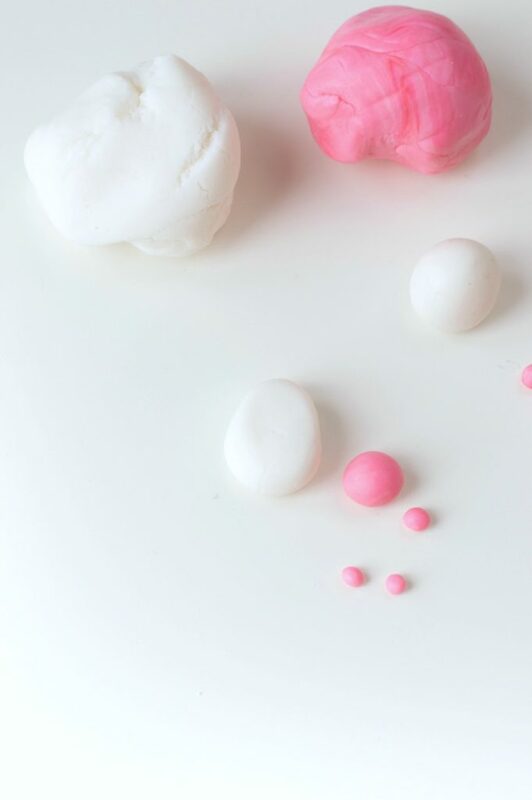 To make your fondant pieces, start by forming 24 spheres about 1 inch in size. Flatten each sphere and then pinch it slightly at the top – it will resemble an egg. 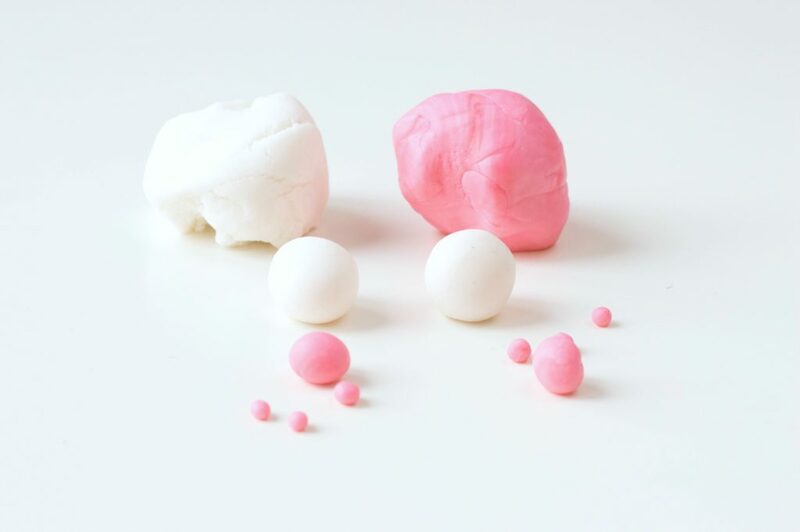 Roll out 72 tiny spheres from your pink fondant. Then, roll out another 24 pink spheres, about ¼ of an inch in size. 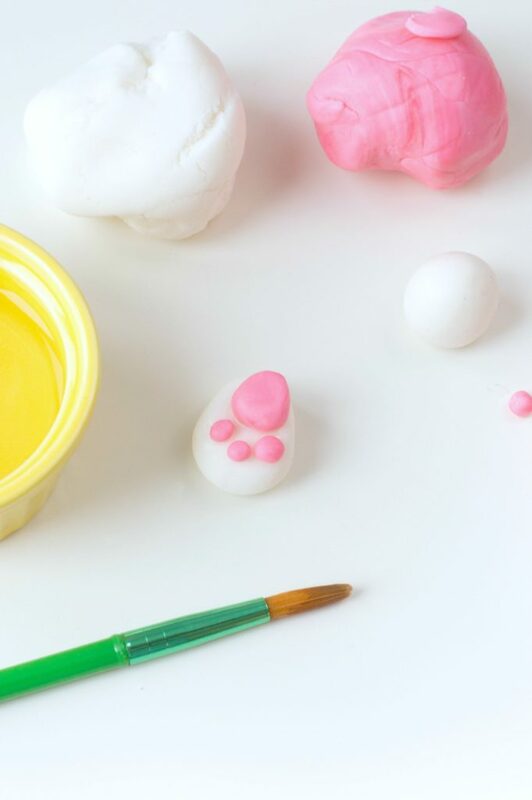 Brush some water on the surface of your white fondant and assemble the pink pieces on top. The larger pink circle goes towards the top of your white fondant piece and then the three smaller pieces just beneath it. Repeat for every single piece and set aside. 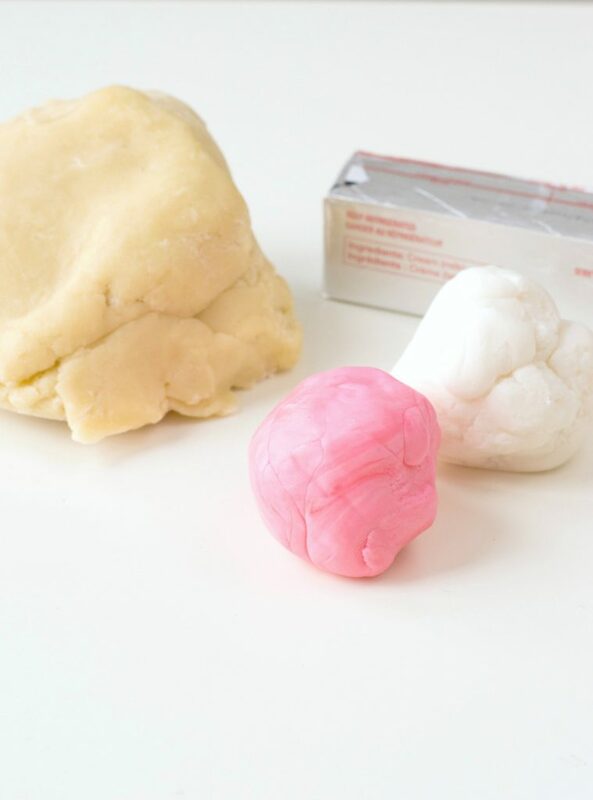 Roll out 12 ½ inch spheres with the remainder of your white fondant. These will act as the bunny’s cottontail. To make the buttercream, beat together softened butter, confectioners’ sugar and milk with an electric mixer. Start on medium speed then increase it to high. Once the buttercream is smooth and forms semi-stiff peaks, it is ready. Use an offset spatula to cover each cookie with buttercream. 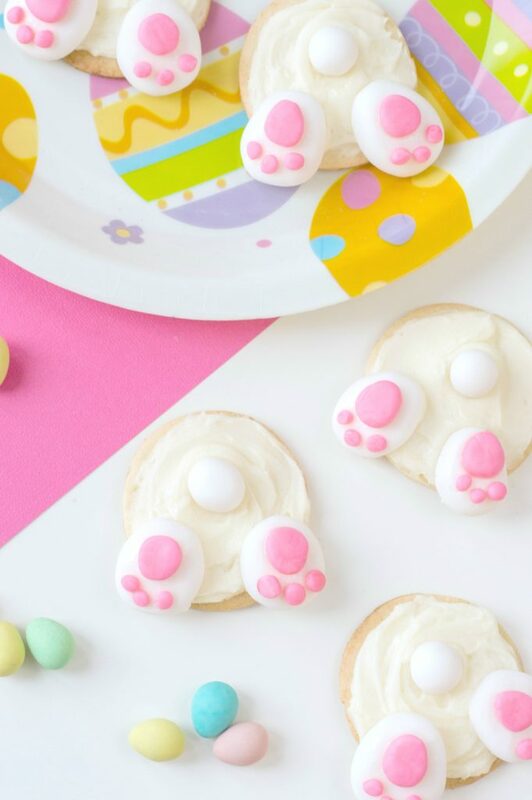 Assemble your cookies with one fondant “cotton tail” and a pair of “bunny feet” each. These bunny bum cookies are always a hit. Enjoy! 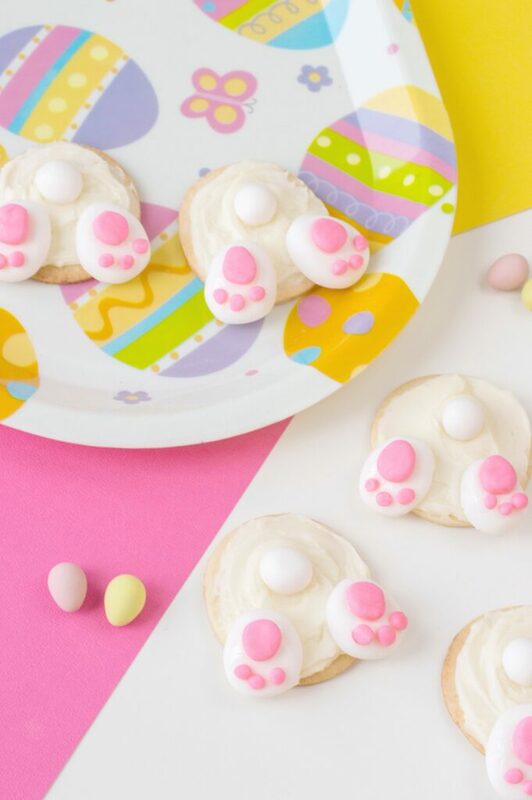 These are super simple and delicious sugar cookies that are festive for Easter. Always a hit because of their cuteness. Look closely, you'll see the Easter bunny's bum. Roll out 12 ½ inch spheres with the remainder of your white fondant. These will act as the bunny’s cotton tail. 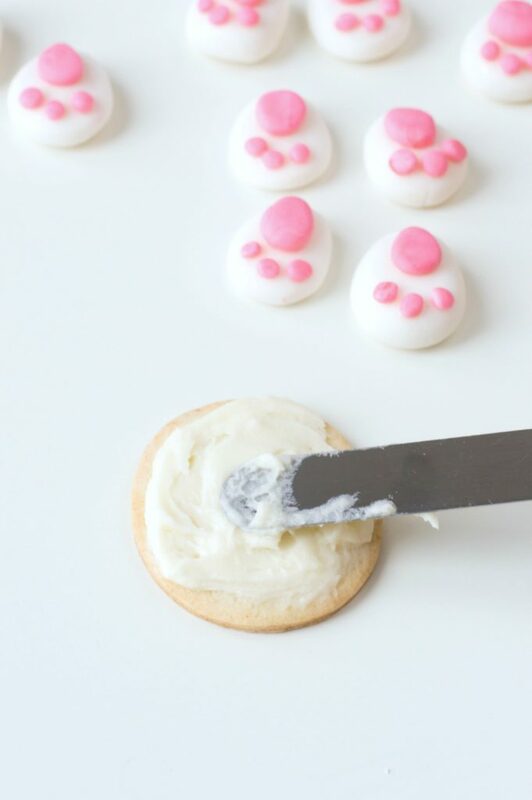 Use an offset spatula to cover each cookie with buttercream. 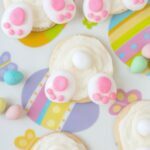 Assemble your cookies with one fondant “cotton tail” and a pair of “bunny feet” each. Enjoy! So, why not give these bunny bum cookies out by the dozen? You don’t have to be a pro to make these at all. They are so simple and so cute! These are the kind of cookies that keep kids busy and quiet while they eat them. Is it me or do all kids just like to deconstruct everything? 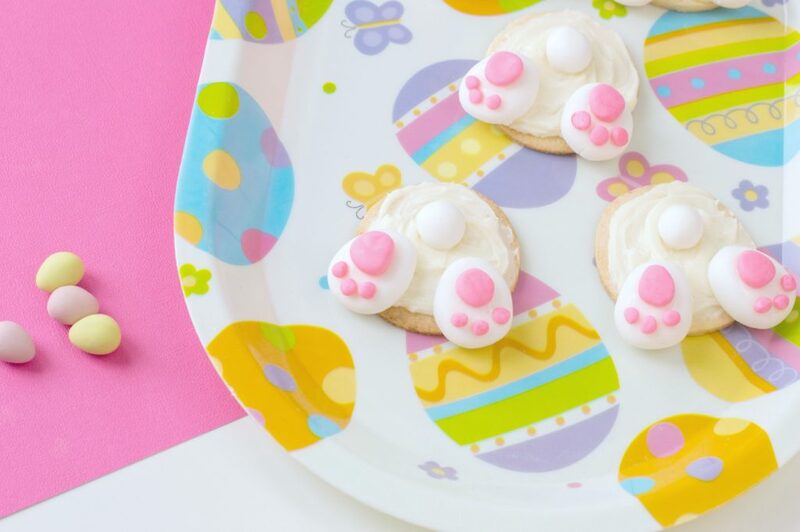 Serve them on these cute little Easter paper plates or wrap them in cellophane bags and add an Easter Bunny tags to them! These are perfect for Easter brunch, office parties, and to bring to school for a treat! Do you bake for Easter? Let me know, til then cheers m’deres! Previous Post: « Should You Take Out Instant Cash Loans to Travel?